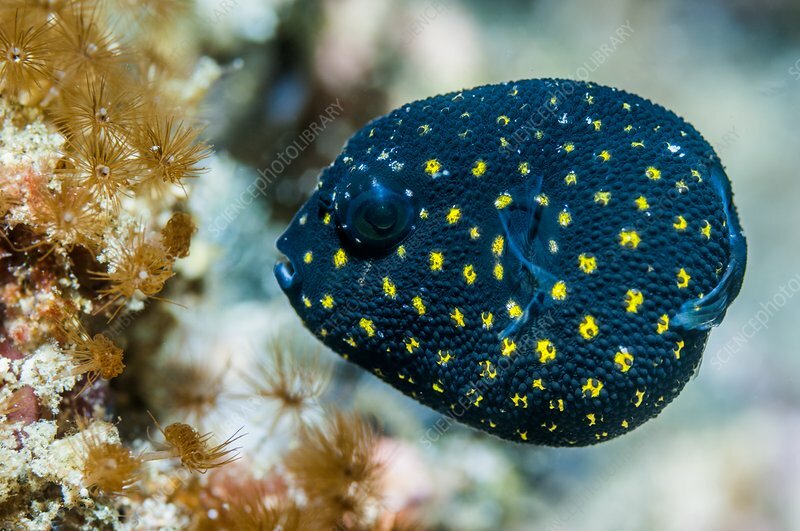 Guineafowl puffer (Arothron meleagris). Juvenile guineafowl puffer fish on a reef. Photographed in the Lembeh Strait, North Sulawesi, Indonesia.